There is still the odd brassica or two on the plot. Here's a very easy, tasty recipe for one of the best, sent in from west side plot holder A. Beattie. 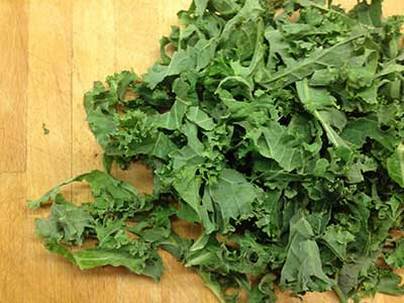 Kale from the supermarket is a poor sad thing, but cooked on the same day you pick it... now that's a superfood. Offset this virtue with cured pork. 1. 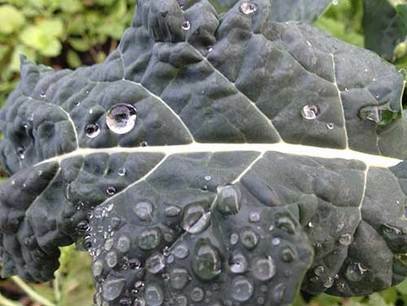 Give the kale a good rinse to evict overwintering beasties, then strip the leaf off the stem and shred it finely. 2. Chop the chorizo up small and fry it in rapeseed oil in a big, deep pan. Add some crushed garlic. Fry a bit more then chuck the kale in. Add a splash of boiling water. Cover and simmer for about 20 mins or so.